I'm about to say the four words I've waited my entire life to say. I'm a published author!!!! I'm a published author!!!! Wait, one more time because it FEELS SO GOOD: I'm. A. Published. Author!!!! So, now that I've gotten that out of my system, I'll be hosting a release party on February 14th at 8pm Facebook Live and on my author page (be sure to follow me). Check out my reveal video on YouTube. 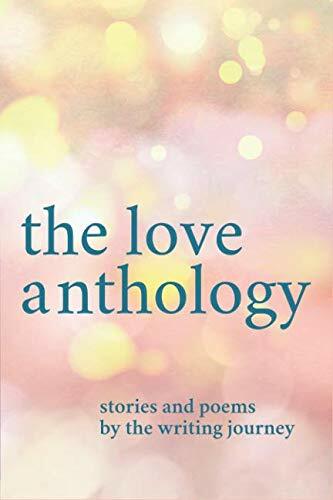 The Love Anthology: Stories and Poems About the Ties that Bind is currently available on Amazon and my short story Wrestle with my Heart appears in this collected work alongside other brilliant writers. Not all stories are about romantic love, as the back of the book says: Strangers, sisters, mother and child, friends, and lovers grace these pages in ways as old as love itself and as new as a first embrace. It’s all about love in its laughter and tears, mystery and hope, splendor and despair. If you do end up buying a copy (or winning one in my promotional giveaways on social media), please be sure to post a review. Four26Co is a new space where I will be covering new topics of interest. Travel, engagement, productivity, office spaces, and much more. Check back regularly! You’ll still be able to read about my contemporary romance writing journey (and then some) in Words & More Words or check out my stories and videos from past live Performances. And I’m still working on my novels, so never fear. You can also take a peek at my gallery of Lost Soles - pictures I’ve taken or received of random shoes on the side of the highway and other weird places.